Doing what?s right has never been more confusing. The complexities of 21st-century life can be bewildering. We all need a map for negotiating the intricacies of competing priorities and values. What can help us decide what is right and wrong? David W. Gill finds "Ten Words" that God originally spoke to Israel to be just as pertinent today as they were when Moses first heard them. As Christians what we long for is not damage control, but mission control. The Ten Commandments offer a sound set of ethical principles that takes us beyond mere damage control to mission control, a guide that shows us how we can be proactive in fulfilling our dual purposes of loving God and others. This rich, scriptural teaching will help Christians from every walk of life--whether engineers, bus drivers, managers, restaurant workers, PTA members, parents, neighborhood volunteers, nurses, teachers, coaches, attorneys, journalists or physicians--fulfill their calling to be salt and light within their own spheres of influence. A must-read book for a chaotic world. "In Doing Right, David Gill probes analytically for the deeper meaning of the Ten Commandments; expands each command with thick, specific exegesis of Jesus' teaching; learns from incisive Rabbis and Reformed scholars; shows decisive implications for our doing; and contrasts real flashes of wisdom from these sources with dangerous foolishness in current culture. Here is my commandment: Buy this book, read it, and do almost all it teaches." "David Gill writes Doing Right with courage and integrity: courage to take on the tough issues of our day and integrity not to treat them with simplistic answers. Page after page, he shows us how biblical principles will guide us to do the Right Thing." "In this important new book David Gill shares the fruit of a quarter century of reflection on foundational Christian ethics and life in the marketplaces of ideas and commerce. Those who imagine that the Ten Commandments are irrelevant for contemporary life are in for a refreshing surprise! I have observed Dr. Gill's transformative teaching on the lives of both traditional students in the classroom and lay Christians in churches and am delighted that his fresh, insightful and faithful instruction is now being shared with a much wider audience. I do not know a better guide to thinking Christianly about the ethical challenges of everyday life." "David Gill's insights on the Ten Commandments, especially his explication of how our obligations toward God flow into our obligations to each other, should be a part of every teaching on the Decalogue. Doing Right shows the marks of a person who loves the law of God and who has taught it for years." "David Gill brings fresh insight into well-worked material. Doing Right is engaging, compelling and preachable!" "Doing Right is an extremely insightful and highly readable work. David Gill provides wise and practical applications of the Ten Commandments to contemporary moral issues, including those occurring in the workplace. This book is a must-read for anyone who is interested in understanding what it means to live faithfully in all areas of life." "If you haven't already memorized the Ten Commandments, you will! David Gill's Doing Right helps us discover the deeper wisdom of the Ten Commandments and encourages us to lead our lives according to God's design." "Wisdom and compassion, truth and gentle humor mingle on the pages of Doing Right, bringing life to a subject that often seems stony, cold and chiseled." "Doing Right provides a concise description of what a moral life looks like. Using Jesus as the cartographer, David Gill supplies the reader with an ethical map, a practical guide to the principled life." 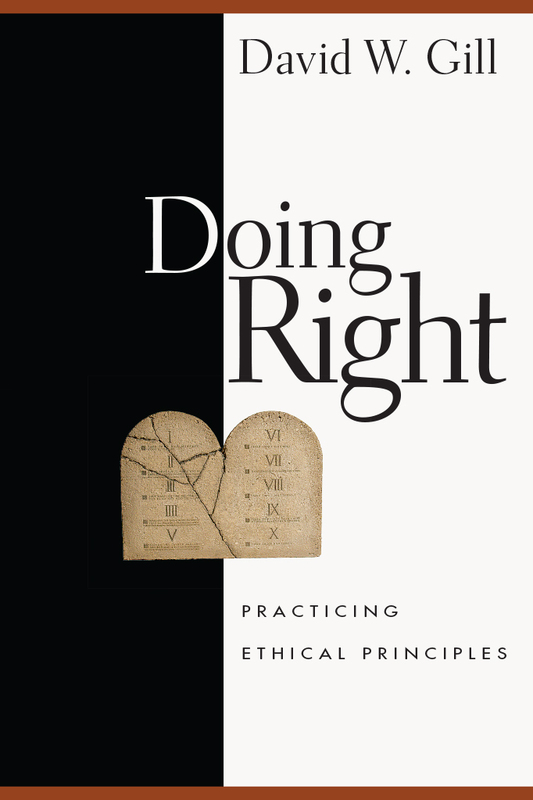 "Doing Right is a clear, engaging primer on the Christian moral life. With perceptive cultural analysis and lots of down-to-earth examples and advice, David Gill offers fresh insight on the Ten Commandments and their ability to guide us today." "Doing Right challenges us to think deeply, biblically, courageously and wisely about the right thing . . . and then pushes us to act more rightly and justly. I love Gill's emphasis on ethics as a 'team sport': we need to embrace and live out these principles in community, as a collective body of people seeking God's will." "Anyone who thinks that an introduction to Christian ethics based on the Ten Commandments might be a bit dry could not be more wrong. David Gill's Doing Right is written with a sprightly, punchy and energetic style, with a winsome sense of humor, great command of a fascinating and unusual body of biblical and theological research, and an everyman touch honed by years of teaching ethics in nonacademic settings." "To our peril we've reduced the discussion of the Ten Commandments in the United States to a fight over a two-ton monument in the rotunda of the Alabama Supreme Court. The God who has set us free in Jesus Christ has a road map that will lead us in the way of freedom. Doing Right is an outstanding book that calls us back to the importance of the Decalogue for anyone who desires to live a good life." "Doing Right is a thoughtful, scholarly, humorous and loving exploration of God's model of relationships outlined in the Ten Commandments. I was captivated by David Gill's theme that treats negative boundaries as only the beginning of what must ultimately become positive mandates to love. This is an ethic that takes seriously our fallenness but offers hopeful ways to bring healing, justice and freedom to ourselves and others." 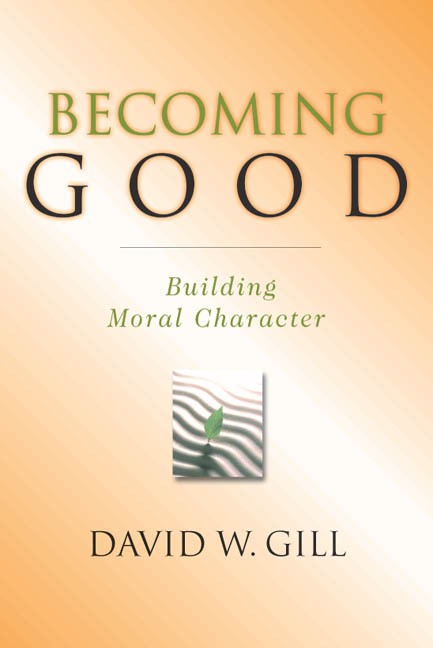 "Together with his Becoming Good, David Gill's Doing Right completes a masterful two-volume exposition of ethical character and practice. Doing Right provides a carefully researched and clearly expounded analysis of the Decalogue, full of practical wisdom and fresh insight into the wondrous connections between loving God and loving neighbor." "Instead of simply pointing an accusing finger, Doing Right offers a truly refreshing and freeing alternative to today's seemingly ubiquitous ethical decay. David Gill's examples, illustrations and humor portray the genuine benefits of conducting business and life according to God's principles and priorities." "This is a timely book! David Gill has drawn on a variety of sources--popular writings, ethical handbooks, biblical scholarship (including profound insights from the Jewish community) and historical lessons--to produce one of the best studies of the Ten Commandments to come our way for quite a while." "The fruit of decades of brooding on the Decalogue, David Gill's masterpiece draws deeply on a rich Jewish and Christian tradition. He shows how the 'Ten Words' are not merely prohibitions--and that for our good--but describe a lifestyle of love, justice and freedom that is good not just for people of faith but critical for the health of society. Two things separate this book from many others on the subject. First, he refuses to separate the so-called first table (commandments one to five) as only relating to God, and the second table (six to ten) as concerned exclusively with neighbors. Thus he shows how the whole Decalogue, as Jesus said, is fulfilled in love to God and neighbor. Second, Gill painstakingly applies these lifestyle standards to the warp and woof of our everyday life--which is exactly what the Author had intended! The questions at the end of each chapter are worth the price of the book." 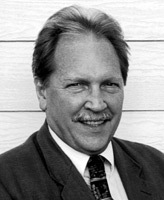 David W. Gill (PhD, USC) is an ethics writer, educator, and consultant. He served as professor of Christian ethics at New College Berkeley (1978-1990) and professor of applied ethics at North Park University (1992-2001). As an adjunct or visiting professor, he teaches Christian ethics at Fuller Theological Seminary and Regent College, and business ethics in MBA programs at University of San Francisco, and Seattle Pacific University. He is also the director of the Mockler Center for Faith & Ethics in the Workplace at Gordon-Conwell Theological Seminary. He is a member of the Society of Christian Ethics, Society of Business Ethics, and Association for Practical and Professional Ethics. He is president of the International Jacques Ellul Society. Gill has written or edited six books, including the two-volume introduction to Christian ethics, Becoming Good: Building Moral Character (2000) and Doing Right: Practicing Ethical Principles (2004). He often leads workshops, seminars, and retreats for Christian students, faculty, professional, and church groups, and he provides business ethics training and consulting services in the marketplace.